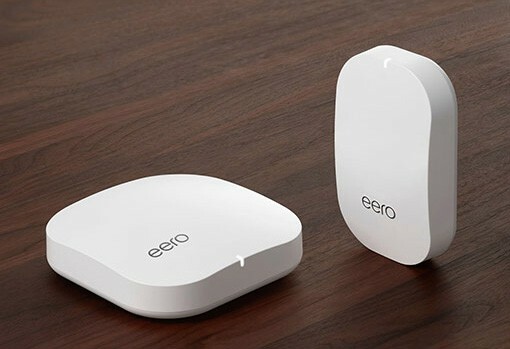 This whole home wireless system, powered by eero, will connect your home in a total WiFi blanket. It can expand to include as many access points as needed to cover your home, ensuring you always get the fastest speeds and the best coverage. With the easy-to-use app, you can check your network status and connected devices or simply shut down WiFi for family dinner time. Get ready for reliable home WiFi that gives you the ultimate control and can cover a home of any size or shape.